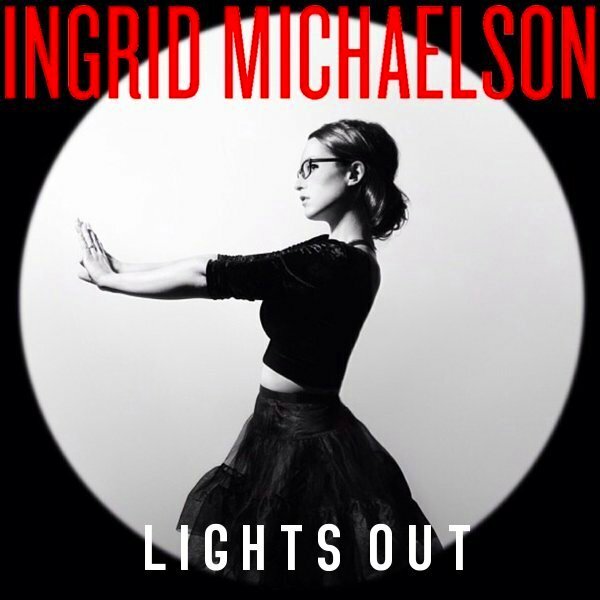 Lights Out, Ingrid Michaelson’s sixth album, marks her most diverse one to date; an artist previously known for her bare-bones acoustic style, Michaelson has now waded into the realm of indie pop. Her songs incorporate more synths, stronger bass beats, and deeper powerhouse vocals to make for an album that has more meat on its bones than her previous ones. The album opens with the whimsical “Home,” punctuated by bright guitar and glockenspiel, and transitions into her spunkier, piano-driven single, “Girls Chase Boys.” Lights Out’s greatest strength makes itself apparent in the contrast between these first two tracks: Michaelson’s songs swing from plucky to mellow to playfully sensuous, making for an intriguing rollercoaster ride through the track list. Slow, soft ballads like “Ready To Lose” and “Everyone Is Gonna Love Me Now” are reminiscent of Michaelson’s old style – however, Michaelson layers on softly rippling synths, piano embellishments, and gentle bass beats for a more elaborate take on her previous ukulele-and-vocals pieces. Throughout the album, darker lyrics and more heavily layered instrumentals add a new level of depth and sophistication to Michaelson’s sound. Lights Out also features a surprising number of guest artists, from Mat Kearney to A Great Big World, who bring new dimension to the songs. “Handsome Hands” is one song that showcases unexpected tonal juxtapositions; its instrumentals contrast glassy harp runs with the darker undertones of cellos and snares. Though the piece ends up being more of an experiment in sound than a fully lyricized song, it’s representative of the album’s venturing into new genres – yet at times, Lights Out strays too far from its core sound. The too-heavy bass line and drums in rock-influenced “Warpath” drown out Michaelson’s vocals and are a jarring break from the smooth indie feel of the rest of the album; similarly, the upbeat pop-laden chorus of “Time Machine” distracts from the quirky old-school flavor of the rest of the track. On the whole, however, Lights Out is a cleverly arranged, idiosyncratic collection of songs that samples an assortment of styles, tempos, and genres, yet flows seamlessly as a whole. Fans of Michaelson’s previous simple, comfortable sound are in for a surprise with Lights Out, but her metamorphosis in this album signifies a confident willingness to continue to experiment and grow. Though Michaelson has just begun to strike unfamiliar territory, Lights Out is a commendable exhibit of her new ability to grasp and refine a variety of different sounds and textures, and marks her maturation as an artist. Be the first to comment on "Ingrid Michaelson Lights Up"